"Thank you so much for the beautiful stucco entrance. We have received so many compliments from our neighbors. It was a pleasure working with you. You were professional and so accommodating...the standard is so low with contractor work and we are so pleased...We unexpectedly had a great experience." continues to welcome the opportunity to work with architectural and design firms. 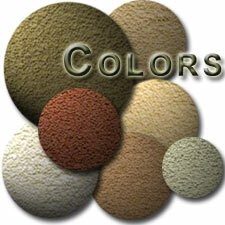 Assisting with style, color and texture samples for their residential or commercial projects. "It's not the size of the project, it's what you can do with it. You've got to commit to the client's dream. Whether it's a museum or a shed, it's an opportunity to do your best work." We have built our reputation by providing our customers the quality and the personal attention their projects deserve. This has allowed us to maintain relationships time and time again. 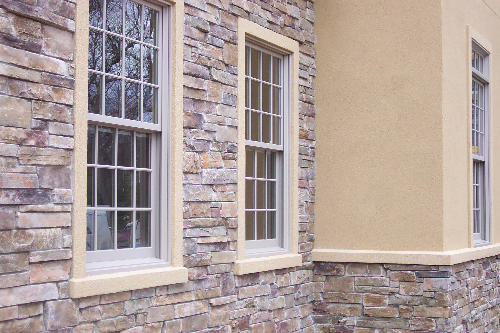 The application of stucco & stone is the art of taking a building or home and turning it into something unique and special. Whether we are working on one of our projects for, The Metropolitan Museum of Art, a custom home, or commercial building, we provide a professional quality, affordable installation, or EIFS remediation that stands the test of time. Experience, commitment and expertise you can rely on.